First Published: An Appeal for Communist Unity in Spain, The Militant, Vol. IV No. 13, 4 July 1931, p. 1. 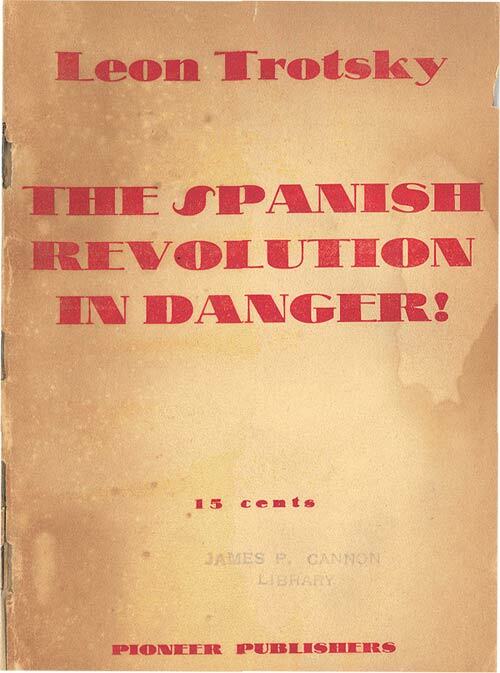 Source: The Spanish Revolution in Danger, a pamphlet published by Pioneer Publishers, publishing house of the Communist League of American (Opposition), New York, 1931, pp. 38–40; copy provided by Bolerium Books, San Francisco, California. Proofread: Einde O’Callaghan (January 2013). The further fate of the Spanish revolution depends entirely and completely upon whether an authoritative Communist party, capable of struggle, will be constituted in Spain in the coming months. Under the system of artificial splits imposed upon the movement from without, this is not realizable. In 1917, the Bolshevik party consolidated around itself all the currents kindred and close it. Carefully guarding he unity of its ranks and the discipline of action, the party at the same time opened up the possibility of a broad and all-sided consideration of the basic problems of the revolution (the March council, the April conference, the pre-October period). Can the proletarian vanguard of Spain elaborate its views and be imbued with that indomitable conviction in their correctness which alone will permit it to lead the masses of the people towards the decisive storm, through any other ways and methods? The mere fact – I adduce it as an example – that the official Communist party is compelled in the present situation to characterize Andres Nin as a counter-revolutionist, cannot but lead to a monstrous confusion, primarily in the Communist ranks themselves. Upon ideological confusion, the party cannot rise. The defeat of the Spanish revolution rendered inevitable by the further dismemberment and weakness of the Communists, will lead almost automatically to the establishment in Spain of genuine Fascism on the style of Mussolini. It is needless to speak of what consequences this would have for the whole of Europe and for the USSR. On the other hand, a successful development of the Spanish revolution, under the conditions of the far from terminated world crisis, would open up tremendous possibilities. The profound differences on a series of questions pertaining to the USSR and the world labor movement, should not stand in the way o1 making an honest attempt at a united front in the arena of the Spanish revolution. It is not yet too late! 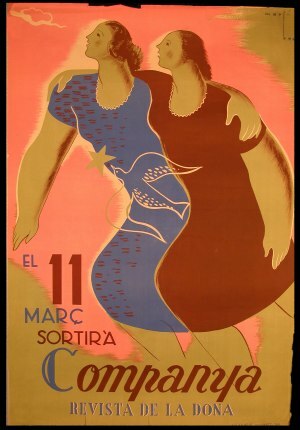 The policy of artificial splits must be stopped immediately in Spain, advising – not ordering, but just that, advising – the Spanish Communist organizations to convene in the briefest possible period a unity conference which should assure all shadings, under the necessary discipline of action, at least that degree of freedom of criticism which in 1917 was enjoyed by the various currents of Russian Bolshevism, which as in possession of incomparably higher experience and temper. 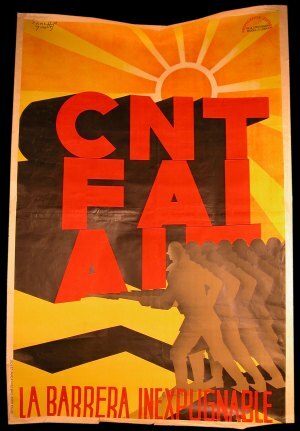 There can be no doubt that if the official Spanish party understands the disproportion between its weakness and the tremendous tasks, and makes a serious attempt at the unification of the Communist ranks, it will meet the fullest support on the part of those revolutionary Communists who at present have their own separate organizations for reasons you are aware of and nine-tenths of which lie outside of the conditions of the Spanish revolution. In order not to create even external difficulties, I made this proposal of mine not in the press but in the present letter. The course of events in Spain – there can be no doubt of this – will every day confirm the necessity of uniting the Communist ranks. The responsibility for a split, in the given instance will be a tremendous historical responsibility. 1. The letter published above was sent by comrade Leon Trotsky on April 24, 1031 to the Political Bureau of the Communist Party of the Soviet Union (Bolsheviks). Because no reply was received to the letter and the policy of the Comintern in Spain is still moving in the same rut, the author considers it necessary to make his letter public.